I love thinking about unintended consequences. One side-effects of thinking radically different, is my ability to see through exponential growth predictions and around the corners of typical future visions. I've had women, science and relationships on my mind. Increasing Women in STEAM. How will this change the world? The typical thinking is that we need more women in these areas for equality and job growth. But it's not just about job growth or equality. There will be results we have not considered, that will ripple through the sciences and society. Women think and work in a fundamentally different way. I had a fascinating conversation with Epiphany Jordan a few weeks ago. 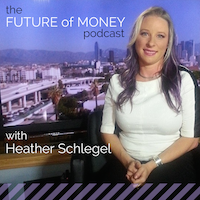 She has some interesting perspectives on money and relationships. I'll post our interview soon. What struck me was this comment on relationships. "Women used to need men for financial support. Now that women are financially independent, they want male relationships that give emotional support. Women want a partner. Men want a girlfriend or wife. But many men do not have the emotional capacity to give that emotional support." What does this have to do with women in STEAM? As women increase in population in STEAM careers, I believe we'll see an increase in collaboration and cooperation. We haven't even seen the tip of the iceberg on this. Additionally, we'll see an increasing demand for male emotional maturity and emotional availability - and women in STEAM will build technology to facilitate this. How could this play out? Read this scenario from the UME project. (snippet below). Emily is now 48 years old and CEO of Empathech, a technology company that creates implants for the male gender. Created as a start-up at the beginning of the last decade, Empathech is the leading supplier of the empathy device that is commonly implanted in boys when they reach puberty. It has become a right of passage—a ceremonial practice—that all families of stature recognize. At 9 years old, Emily’s son will soon have the privilege of getting his empathy device. There will be celebration in the community as is customary. It’s an important stage in his life that will ensure he finds a good wife to provide for him in the future. It's simplistic to say gender roles are reversing. They aren't. Inside ourselves are male and female characteristics. Women have come a long way in the recent past - gaining "equality" - which I interpret as understanding, owning and being recogonized for traditionally male characteristics. Basically, women are mostly able to express both female and male characteristics in society. Men, however, can not. Part of this challenge is that society generally judges male characteristics as strong and female characteristics as weak. This creates friction for men, being judged as weak for emotional strength and maturity - what you could define as emotional strength. To be competitive, men must appear strong. Society makes it hard for men to be sensitive and masculine. Quite a catch-22. A consequence of women in STEAM? And an unintended consequence of women in STEAM? An increased demand for/technical ability for male emotional maturity, which translates to more equality for both genders. Dazed has a nice piece on ten neurological advances - they close out their list with my concept of The Global Now. 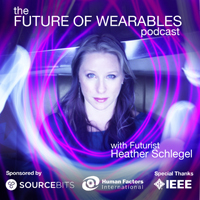 Futurist Heather Schlegel put forth the idea that technology is actually deepening the social and emotional ties between us, thanks to a sense of “geo-temporal awareness” that she calls “The Global Now.” Technology, she argues, has presented us with tools with which to curate and deepen specific parts of our lives with certain friends, thereby adding a “custom enhancement” feature to our relationships. This is a view we’d like to get behind, because it retains a healthy distance from the danger of fetishizing technology, and still places full responsibility on flesh-and-blood humans for how they choose to use said technology. The bottom line is, data-mining and spying and insidious surveillance aside, technology remains, at its very core, a tool – a tool that we can actively choose to learn, understand, and apply to our social interactions. It doesn’t have to diminish what it means to be human, unless we allow it to. Right?